High Quality Work. Great Designs. 3D letter name boards and signages are totally different from normal boards. As the word mentioned it displays the letters in 3D style with the letters out from the wall and visible on all sides. We are 3D letter name board makers in Chennai and our company has done this work for many companies all over Chennai. It is very unique kind of signage as it can be done by metal and other objects. When the 3D name board is viewed from a distance it gives a good glance to the customers and it very beautiful to see. We are not only manufacturers of 3d name boards but we are also dealers and suppliers. We offer the work at low price and because the charges are reasonable we do not compensate with the quality. The quality of the board is as good as anybody's. We take a lot of effort to make them and once it is fixed it will give a good result. Many times people ask for making name boards with metal and this requires quite and art and work. Metals are mostly cut and painted with the desired colors and it helps to give a good look and feel. Architectural signage are very important and compulsory in many places. It is quite different from direction signs and way finding signs. Our architectural signage makers in Chennai uses a very different method which makes it even more better. We use highly reflective screen which helps the signs to glow and get the attraction of the people. These signs are used in various places such as airports, railway stations, theatres, shopping malls, stadiums, colleges, schools, hotels, restaurants, corporate offices, government offices, bus stands, parks, etc. It is found everywhere. It consists of many signs such as lift, swimming pool, stairs, toilet signs, emergency exit, parking space, no smoking, do not touch, keep out, restricted area and much more. We are architectural signage manufacturers and suppliers in Chennai and also dealers can avail at lower price. Our company has provided these signs and symbols to many companies. 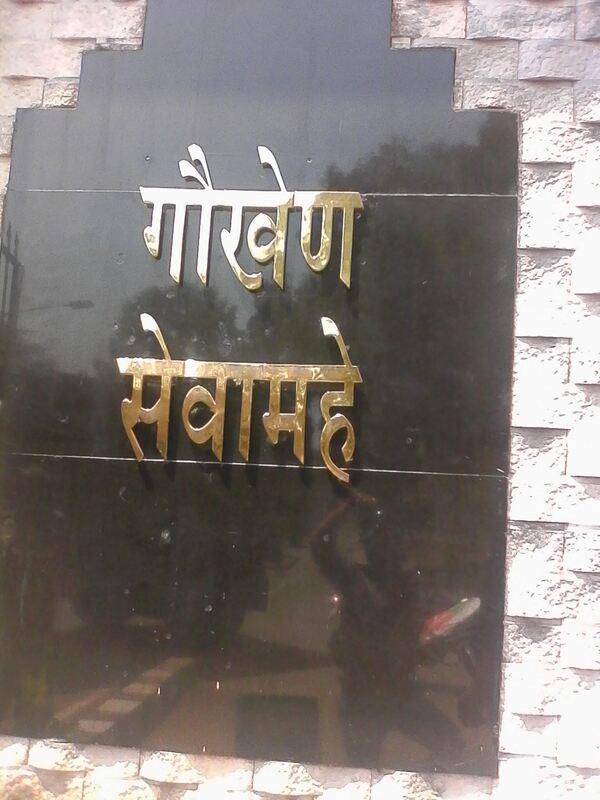 Architectural signages are mandatory for many places and helps the people there. We have regular supply to many big companies all over the city. 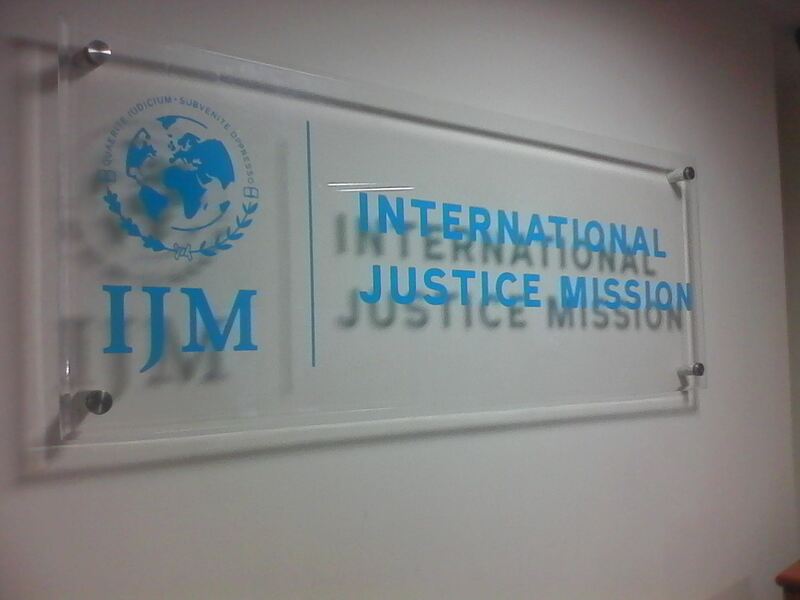 Glass Signage are widely used in many places. It is very different from other name boards because it gives a good feel to place. It is very good and gives a good designing look to the place. It is very neat and is mostly often used in reception of offices. The name of the company and office is printed on the glass. You should take a look at the glass name boards once it is fixed. Our glass name board makers in Chennai are a very experienced company and we have done many projects on glass. The glass are very good in quality and they are made in purposely to last long. The glass are also very shining and it emits the name with great focus. 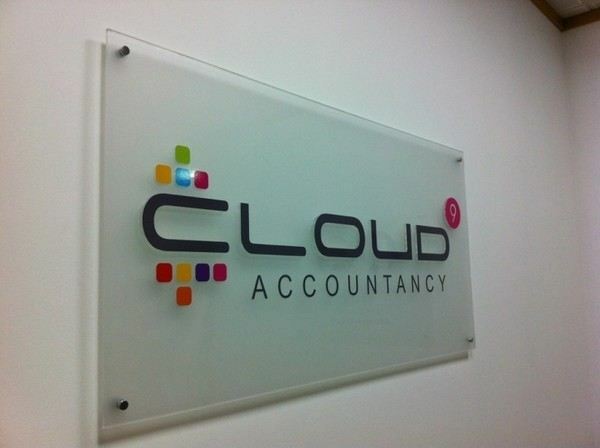 You would have definitely seen in many reception areas that the name of the company and logo are fitted on the glass signs and this really is quite a beautiful way to display the name of your company. Our glass signage board manufacturers and suppliers have many colors of glass to suit the requirement of the customers. There are many companies but our company produces products which are sold to dealers at low price. Led name boards are very good for bringing in a lot of business. Led name boards are very latest technology and this technology is most widely used in many offices and companies. 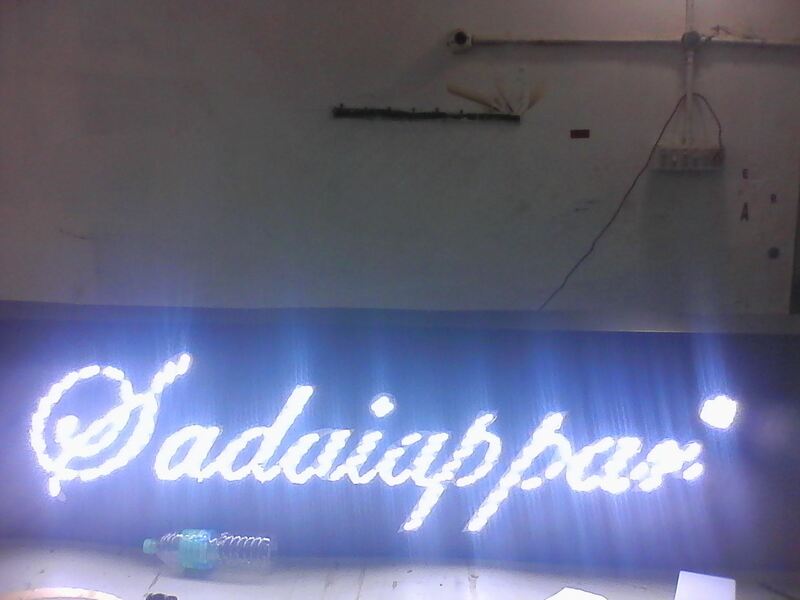 We are leading led name board makers in Chennai. Our LED Name Board Making Companies in Chennai provides both single, double and multi color led name boards. The led name boards are good because they are high in density and emits bright light. The led light can be visible from far away and it is also very visible in pitch dark night. The led name board also gives a good running text and text styles. Our led name board manufacturers in Chennai gives the board to dealers and suppliers at low cost. The led name boards with many colors gives a good design and it is one of the best way to promote your business. Led signages are very much used in hotels and restaurant. Led displays are also used in exhibitions, trade centers and other places. Led walls are fixed and live relays and presentation are provided. Our led name board manufacturers and dealers in Chennai provide to the suppliers at a very lower cast. Our company has provided led signages installation to many companies. Multi color led lights used in boards is the best and different way to promote your company. Metal letters name boards are used in homes and office. They are widely used to show the name of the person staying there. Metal letters are mostly made using stainless steel, aluminium, copper and others. The names are printed on these and it is a good durable product. We are metal letters name board makers in Chennai which uses good quality metals to make sure that it lasts long. We use different colors and font styles on the metal letters to give a good feel and look to it. Because it is made of metal it withstands lot of weather conditions and does stay there for a longer period of time. The metals are used keeping in mind that it does not get in rust. The thickness is also put in greatly to sustain it for a longer period of time. 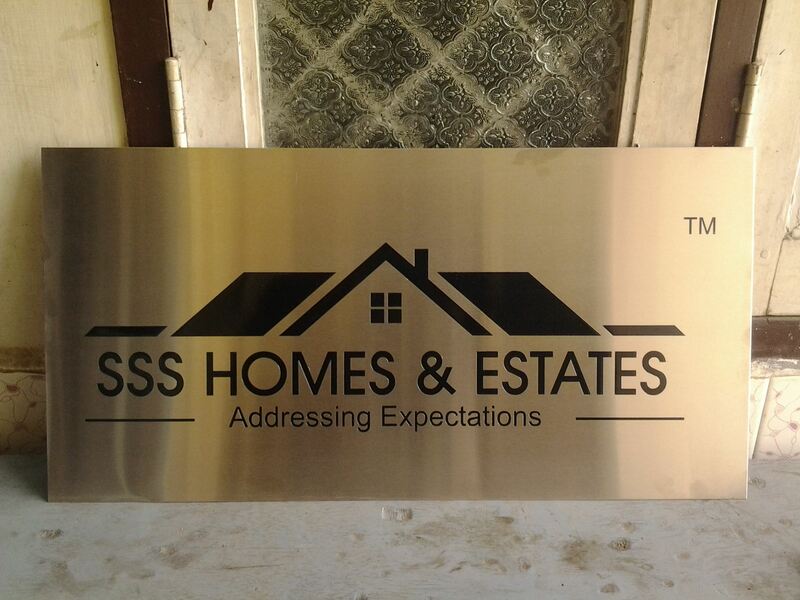 We are leading metal signage manufacturers and dealers in Chennai and provide on a very low cost to all the suppliers in the city. It is liked by many people and by people mostly who want to put their name at their home front and office front. Our company makes metal letters and has been supplying to individuals and also to companies all over India. Mostly people prefer ss letter (stainless steel letters) in metal name boards. Stainless steel letters or ss letters are widely used because they do rust and can withstand climatic conditions. Glow sign boards are very much common and used widely by many shops and showrooms. The board comes with a glow type of screen and sticker which glows the board at night. It is very good way to showcase what business you are dealing in. As mentioned it can glow and makes it easier for people to read. The glow sign boards are made in various sizes and also as required by the customers. 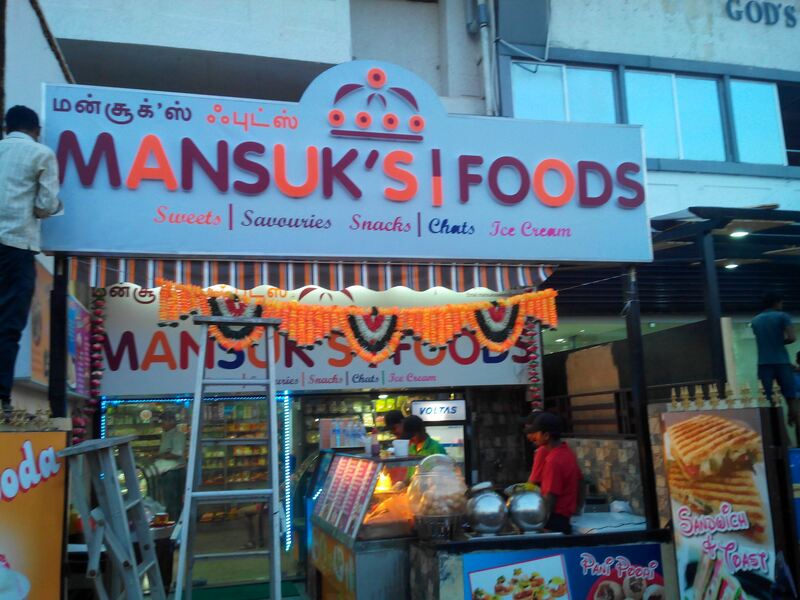 Our company which is a glow sign board makers in Chennai and Name Board Makers in Chennai has provided work to many customers. Our glow sign board company among many companies is the front runner because of our high quality designs and quality of the board. We also provide installation. Many glow shine board manufacturers and suppliers only make the boards but do not provide installation. Our company provides fixing all over the country. This has been our feature. Many people also don't provide work if the client is in a long distance. But our dealers do not think about the location. We just think about the quality work and giving good satisfaction to the customers. Shop name boards and office name boards are very important as they can define the business of the concern. It is a must for everyone from small shops to major big showrooms. When the companies opt for great name boards than it automatically grows their business. The biggest thing is that we are shop office name board makers in Chennai with designs and patterns which will totally bring the customers in. Many people choose their own style and designs and at that time we just make the name boards for them. It is the choice of the customers otherwise we also have designers at our place who are well equipped in office name board designing. We are office name board manufacturers, suppliers and dealers in Chennai and we provide work all over India. Different offices has different name boards. It all depends upon the kind of work they provide. And with our experience our company can give what the customer needs. 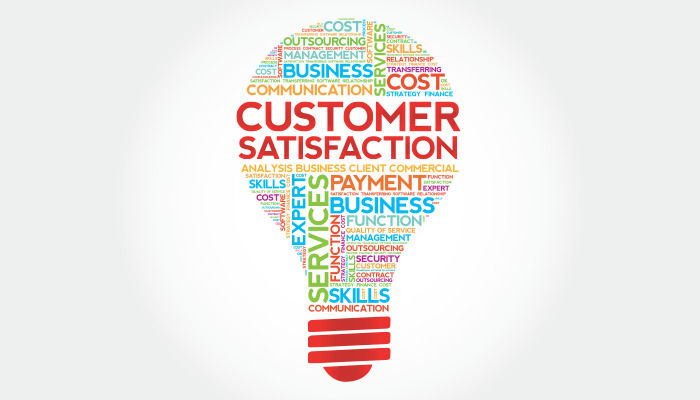 Many companies are into this work but don't know what really the customer wants. Aakriti Signage company is makers of neon boards in Chennai and all over Tamil Nadu and India. The neon boards are very important and very different from normal signages. The neon light name boards comes with many colors and this colors are very vibrant and very bright. One can definitely see the difference between normal name board colors and between neon lightings. The neon lights can be bent and given font styles and direction as per the requirement of the customer. When it is seen at night it is very beautiful and when watched at pitch dark night the name board gives a good appealing look to viewers. When the neon boards are fixed to a shop or at the office in a particular place, it just uplifts the place and the whole area gets a good appealing look. Our neon signage board manufacturers and suppliers also give it to the dealers at very low cost. Our neon name board companies in Chennai has become the front runners because of great designs and font styles. Take a look at the list of company for which we have done the project. Aakriti Sign is a leading Neon Sign Board Makers in Chennai. Safety is very important for everybody. In particular it is very much needed in places where safety is an issue. We are leading safety sign board makers in Chennai. The sign consists of safety signs such as high voltage signs, take left signs, school zone, accident zone, parking signs, no parking signs, reserved for parking sign, no trespassing sign, emergency exit signs, exit signs, fire extinguisher signs, flammable signs, hazard signs, no smoking signs, access denied sign, restricted area sign, custom ansi safety labels, machine safety labels, electrical safety labels, shipping signs, receiving signs, bio hazard safety signs, safety signs, construction signs, wear helmet signs, high voltage signs, traffic sign, go slow sign, speed breaker ahead, stop sign, parking sign, handicap parking sign, door labels inspection tags, machine tags, equipment status tags, electrical tags, highway signages, road traffic signs, road signages, site safety, drive slow signs, under cctv surveillance signs, etc. 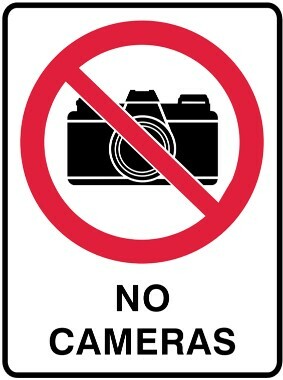 Our prohibition signage manufacturers and dealers provide suppliers all the signs at a very low cost. 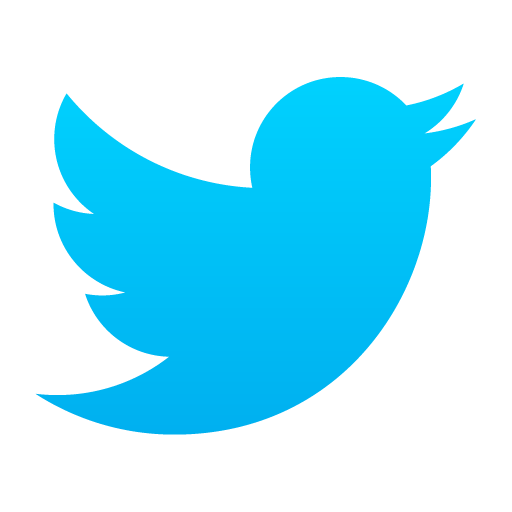 Our company provides stickers to all major companies in Chennai and India. It is very important and can prevent major accidents. Imagine at a building construction area where there is construction work taking place and some people enter into the place. When the construction work is going on it can hurt people entering into the area. If there are signs and symbols mentioning "work in progress" than it can help the people to be safe. Wayfinding signages are widely used. Way finding signage and road signage such as take left, no u turn, speed breaker ahead and many other way finding signages are made in bulk orders. Reception name boards are very vital and it uplifts the reception place and also uplifts the position of the company. Many big companies has reception and lobby place for making the visitors and customers sit. 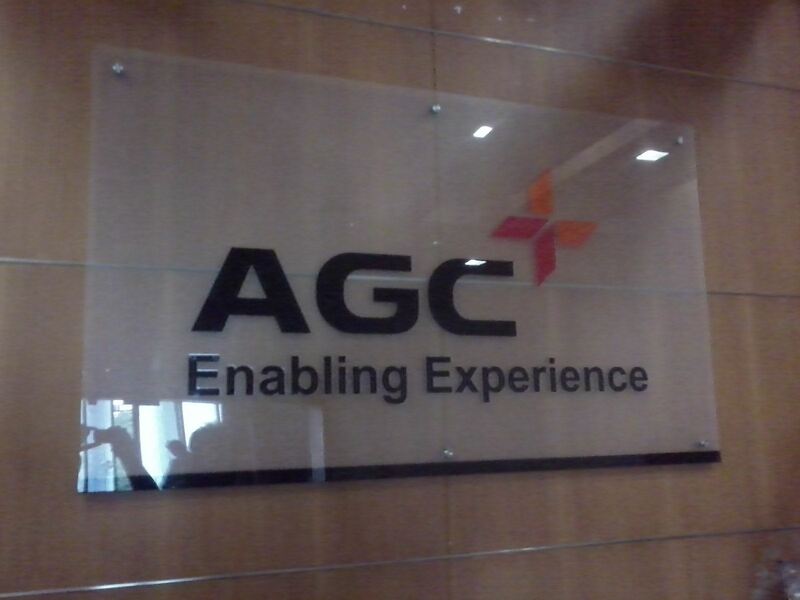 And in that lobby and reception area there is a sign and name of the company which is presented in a great way. Our reception name board makers in Chennai provides work for all IT companies, BPO companies, Real estate companies, corporate companies, etc. The reception signage is made of wood, some people prefer it with glass, some people prefer it with metal, some people prefer it with lights, etc. Making reception signage requires great experience and this experience comes into play while doing this project. 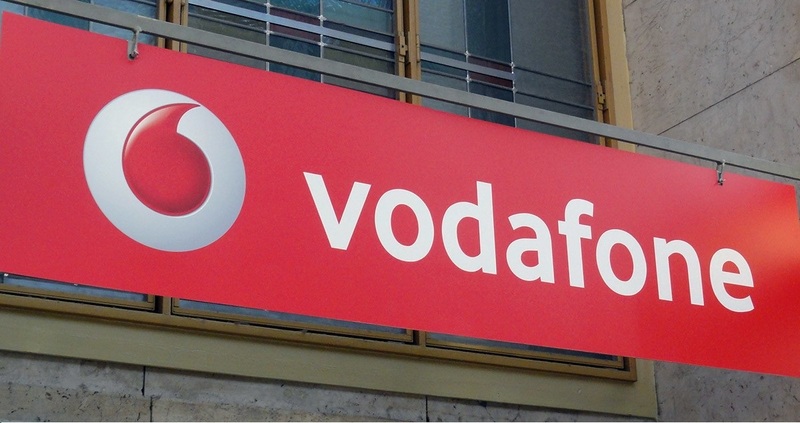 Our company deals in all kinds of reception signages which suits for both small as well as big companies. The design of the reception areas is what showcases the capacity of the company. We have many carpenters who provide reception wood work. They are masters in providing such work and the lobby and reception name requires very much talent because the reception desk itself needs some work. We are reception signage manufacturers and dealers in Chennai which provides at a low cost to the dealers. We are slim light signage makers in Chennai. Slim light boards are very useful in many places. Slim light boards have banners fixed in it with sliding options. Slim light signage boards can be seen in theatres with the posters of the cinema movies. The slides run at the background and the light at the back gives a glow to the running posters. We are also slim light board manufacturers in Chennai and are also suppliers, dealers to many theatres, malls, restaurants and other companies. Our slim light name board making company has been supplying the works all over the country. Slim light boards comes in different sizes and thickness. We also provide designing of the interiors brochure and this helps the customers and us to sync very well. If we provide service for both the slim light signage and interior brochure than we can understand very well what the customer requires. The slimlight signage looks very good when the brochure in it rolls and when the light flashes through it. 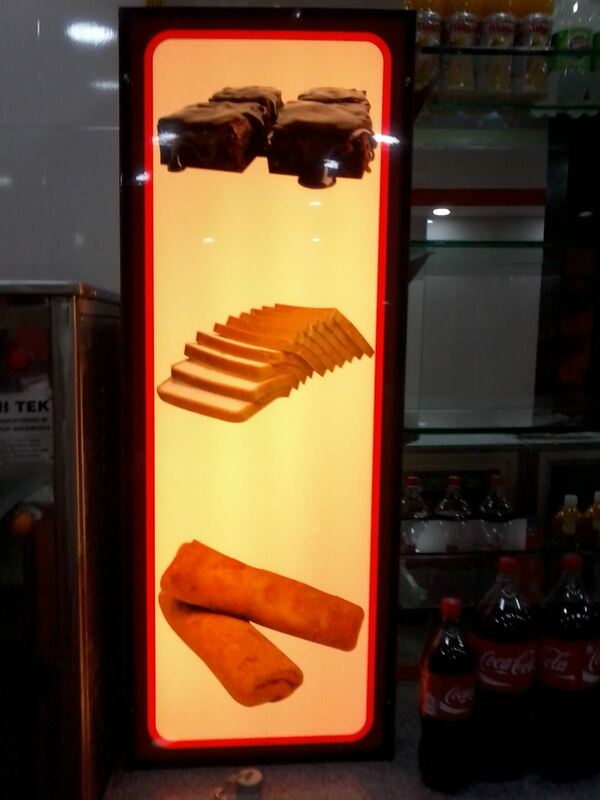 The slim light signage is made from pvc, steel, plastic, etc. 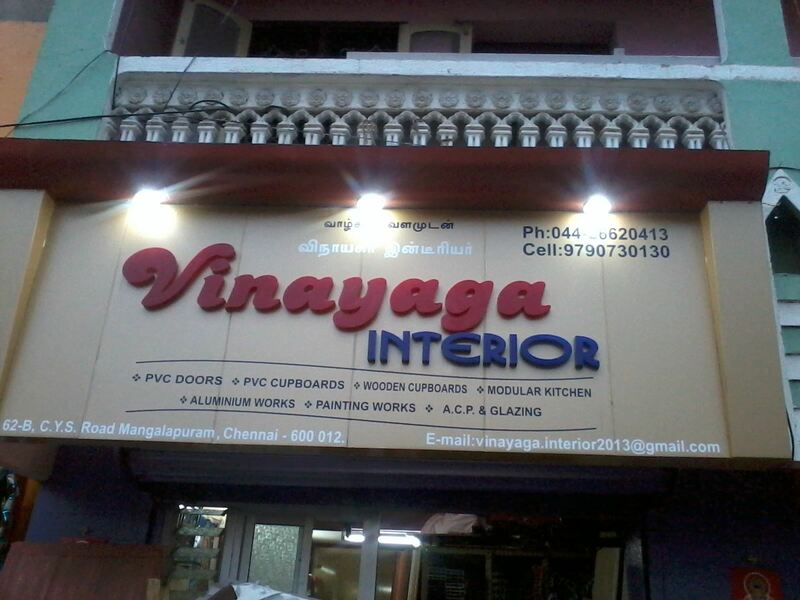 Our company are best among unipole sign board makers in Chennai. Unipole boards are huge in size and fixed in roadways and also on top of the buildings. The size is great and it is used in advertising. 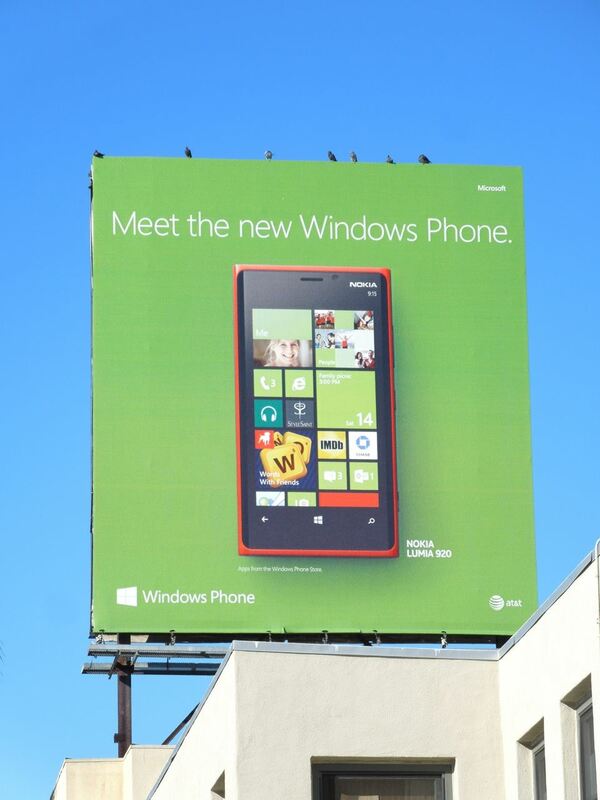 Many billboards companies put the board on display and they put it on availability for rent. This availability of the rent attracts customers who want to put their company ad on the billboards. We are also billboard and unipole manufacturers in Chennai. The companies can avail the boards from us. We provide boards to dealers and suppliers at very reasonable price. We take great care in putting up the board because the boards are heavy it needs to put up with great care. The size and width of the beam is also extremely thick to make sure that it holds the weight of the boards. We also take care and make sure that these billboards and unipoles are not affected by any climatic conditions. Whether be it rain, wind or sun, extreme care is taken that it stands there like a boss all the time and all year round. Good materials are used to make sure it does not faint away due to rain and sun light. Shops and offices requires name boards to showcase their company name and also to promote their products. The shops and offices are into many businesses and each business is different. Some shops sell mobiles, some shops are into dress materials, some shops sell vegetables, some shops sell food products, some sell utensils, etc. The shop name is the one which lets the customer know what business they are into. We are the best front light board makers in Chennai. We have designers in our company who provide designing for all sort of customers. The customer just have to tell their products and our designers will get into the act of putting out a great design. It is not required for any other offices but it is very much required for all shops and offices. No matter how big the office and shops maybe, without the name board the customer will not be able to know what products they sell. We are top level front lit board manufacturers and dealers in Chennai. The name boards are also given to the suppliers at low price. 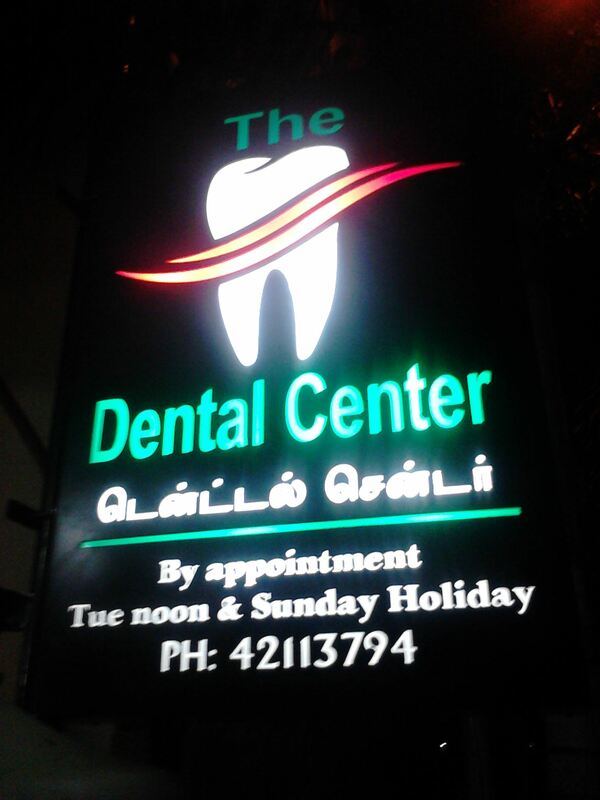 We are the best front lit / front light name board making company in Chennai among many competitor companies. We are back lit boards which are otherwise called as back light name board makers in Chennai. These boards are very much important for all business. The boards are made using best product available in the market. This enhances the life of the boards. We fix good tube lights into the boards so that the lights emit good and high density light. It is also made sure that the tubelights works for a longer period of time. Otherwise it will be difficult to remove the board and keep changing the tubelights. 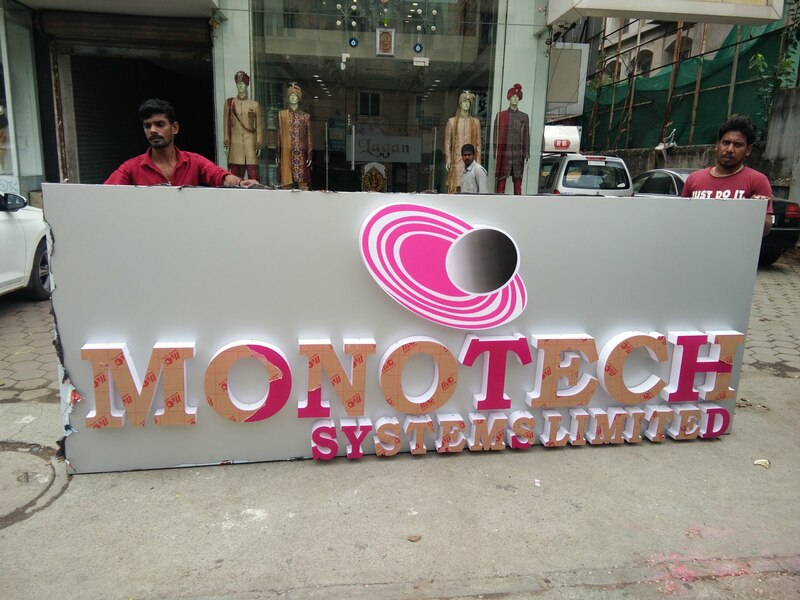 We are the most experienced back light name board company in Chennai which has been providing work for quite a long period of time. Normally we provide work directly to the customers. In some cases as we are backlit name board manufacturers in Chennai we provide the product and ready board to suppliers and dealers all over the city. The best part is that the back light on a highly digital printed design board will enhance the look. Great color combination along with good frame and lights will make it good. Aakriti Signage are acrylic name board makers in Chennai at reasonable price. This helps the customer to get the boards at their desired budget. We have great experience in making name boards and on daily basis we get orders and we keep making boards. The more and more work makes us efficient to get into good experience. Our acrylic name board making company in Chennai has got a good name in this field due to dedication and lot of hard work. 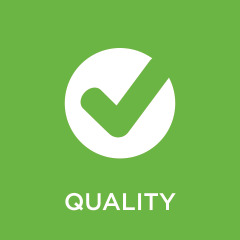 Hard work and good customer satisfaction is what propels the company to greater levels. The dedication of the working people and the quality of the boards works well for the growth of our company. We are acrylic name board manufacturers in Chennai providing the boards to the customers such as dealers and suppliers at lower cost. All name boards are used in acrylic style designs and prints and this is the new way and the latest trend in this industry. 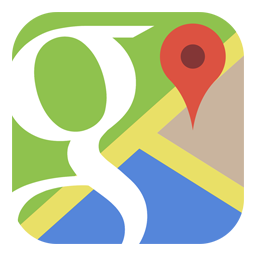 We have coverages in the areas of : Kodambakkam, Kolathur, Korattur, Kottivakkam, Kotturpuram, Kovilambakkam, Koyambedu, Madipakkam, Maduravoyal, Ramapuram, Royapettah, Royapuram, Saidapet, Saligramam, Santhome, Shenoy Nagar, Sholinganallur, Sowcarpet, Abhiramapuram, Adambakkam, Adyar, Alandur, Alwarpet, Alwarthirunagar, Ambattur, Aminjikarai, Anna Nagar, Arumbakkam, Ashok Nagar, Avadi, Ayanavaram, Besant Nagar, Broadway, Chetpet, Choolai, Choolaimedu, Chromepet, Egmore, Ekkaduthangal, Gopalapuram, Guindy, Iyyappanthangal, K K Nagar, Kelambakkam, Kilpauk, Sriperumbudur, St. Thomas Mount, T. Nagar, Tambaram, Teynampet, Thirumullaivoyal, Thiruvanmiyur, Thoraipakkam, Tondiarpet, Triplicane, Ullagaram, Urappakkam, Vadapalani, Valasaravakkam, Velachery, Velappanchavadi, Villivakkam, Virugambakkam, Washermanpet, West Mambalam, Mandaveli, Medavakkam, Meenambakkam, Mogappair, Mount Road, Mylapore, Nandambakkam, Nandanam, Nanganallur, Nungambakkam, Pallavaram, Palavakkam, Pallavaram, Pallikaranai, Parrys, Perambur, Perungalathur, Perungudi, Poonamallee, Porur, Purasawalkam, Puzhal, Anna Salai, ETC. Hotel Name Signages, Bakery Name Signages, Billboard Signage, Safety Signage, Fire Exit Signage, Digital Printing, Acrylic Signage, Capital Letters Signage, House Name Plates, Apartment Signage, Highway Signage, Real Estate Signage, Lettering, Window Signs, Car Signage, Display Stands, Building Signage, ACP Signage, Brass Letters Signage, Aluminium Letters Sign, Reception Signage, Popular Signs, A-Frame Signs, Banners, Vehicle Wraps, Truck Graphics, Car Magnets, Truck Graphics, Boat Signage, Retail Signs, Awning and Fascia Signs, Exhibition Signage, Etching Signage, Etching Stickers, Fire Escape Signage, Fire Safety Signages, Fire Exit Stickers, Fire Exit Signage, Window Graphics, Point of Sale Signs, Digital Printing, Floor Graphics, Business Signs, Other Sign Types, Advertising, Display Signage, Neon and LED, Banners and Flags, Factory Signs, Glass Etching Stickers, Evacuation Signage, Ceiling Suspended Signage, Automobile Signage, Emergency Exit Sign Stickers, Waste Disposal Signage, Sun Board Printing, Pylon Signs, Reception Signs, 3D Logos and Lettering, Illuminated Signs, Pull Up Banners, Prohibition Signage, Sandwich Display Boards, Factory Entrance Signs, Factory Signage, Stainless Steel Engraving, Stainless Steel Etching, Meeting Room Signage, Main Entrance Signage, Lift Signage, No Entry Signage, Pull Push Signage, Exhibition Backdrops, Exhibition Printing, Glow In the Dark Sticker, Digital Printing, Vinyl Printing, Vehicle Signs, Parking Nameplates, Industrial Signage, Hospital Signage, Meeting Room Signage, Steel House Numbers, Swimming Pool Signage, Toilet Signages, Warning Signage, Showroom Signage, Foam Board Signage, Auto Glow Signages, Corporate Signage, Food Court Signage, Entrance Signage, Commercial Signage, Emergency Signage, Hazardous Signage, School Signage, Construction Signage, Shopping Mall Signage, Ss Engraving, Elevator Signage, Cake Shop Signage, Brass Engraving, Free Standing Signage, Emergency Signage, Brass Etching, Construction Safety Signages, ETC. Real Estates Name Board, Builders Name Board, Hotels Name Board, Restaurant Name Board, Resorts Name Board, Clinics Name Board, Hotels Name Board, IT Companies Name Board, Jewellery Shops Name Board, Schools Name Board, Software Companies Name Board, Beauty Salons Name Boards, BPO Name Boards, ITES Company Name Boards, Colleges Name Boards, Computers Centers Name Boards, Computer Training Institutes Name Boards, Educational Consultants Name Boards, Furniture Shops Name Boards, Hospitals Name Boards, Clinics Name Boards, Hotels Name Boards, IT Companies Name Boards, Jewellery Shops Name Boards, Job Consultants Name Boards, Beauty Salons Name Board, BPO Name Board, ITES Company Name Board, Educational Consultants Name Board, Furniture Shops Name Board, Hospitals Name Board, Job Consultants Name Board, Leather Companies Name Board, Logistics Companies Name Board, Mobile Phone Showroom Name Board, Packers and Movers Name Board, Travel Agents Name Board, Leather Companies Name Boards, Logistics Companies Name Boards, Mobile Phone Showroom Name Boards, Packers and Movers Name Boards, Real Estates Name Boards, Builders Name Boards, Schools Name Boards, Software Companies Name Boards, Travel Agents Name Boards, Hotels Name Boards, Restaurant Name Boards, Resorts Name Boards, Colleges Name Board, Computers Centers Name Board, Computer Training Institutes Name Board, ETC. We have the Best Designers in the Field. The Response and Work is Done in Quick Time.